The Josh Davis Band hail from Des Moines, IA, and bring with them some of the Midwest sensibility that Iowa is known for. Straightforward rock and roll with a bit of country twang is the rule here. 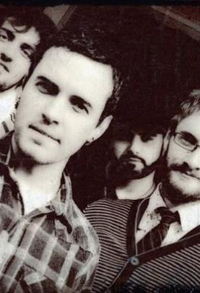 The Josh Davis Band’s third album, Get Awesome, marks some changes for the band. New personnel and a new focus are in evidence, as the band seems to get their feet under them and are all moving in tandem in one direction for perhaps the first time. The results are positive. The Josh Davis Band…Rock/Roots music…amazing sound from Des Moines, IA. Listen to the Podcast. Check them out www.myspace.com/thejoshdavisband. 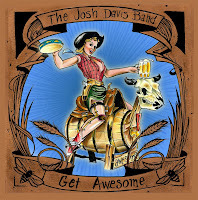 Josh Davis Band releases “Get Awesome” today! You’ve been teased by the EP “Mix Tape;” you had an idea of what was coming; you’ve heard the songs played live and thought to yourself, “this sounds awesome!” Well now you can get awesome buy purchasing the third full-length album from our own Josh Davis Band, “Get Awesome.” Just click here and buy the download OR get more for your money and buy the CD – it contains two bonus tracks not available with the download. The choice is yours, but either way today is the day to Get Awesome.